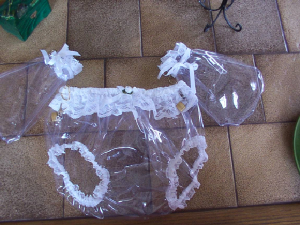 These plastic knickers are not soft they are fairly stiff and restricting, if you want comfortable knickers, then these are not for you. 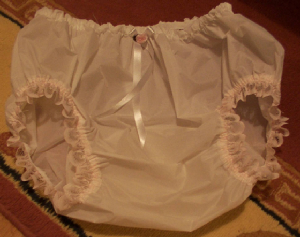 The knickers with mittens have "D" rings attached to the mittens and also to the knickers so the mittens can be locked to knickers. The locks and key are included. They can be easily wiped and not machine washable. 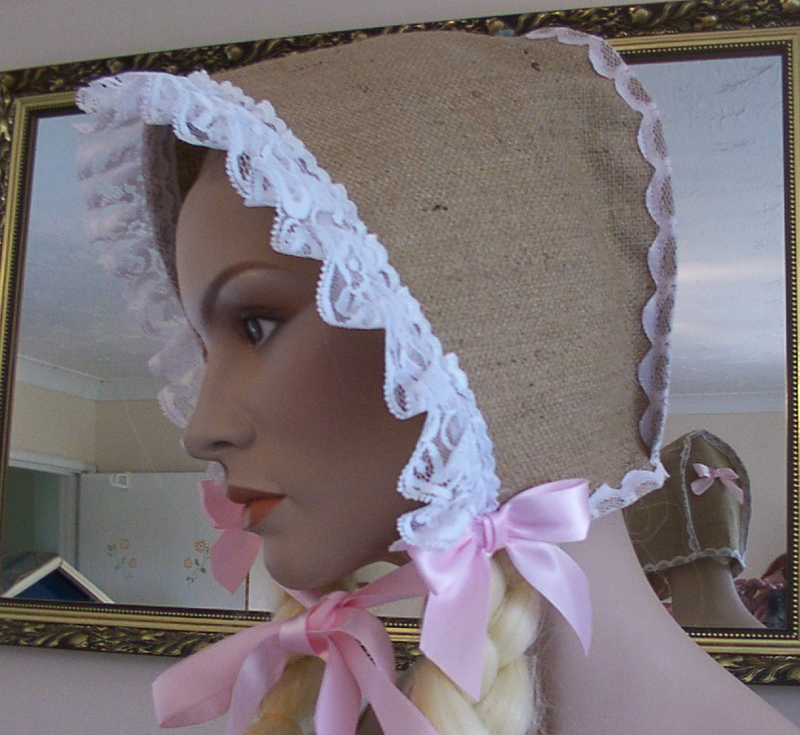 The bonnet in the blue set it also lockable. 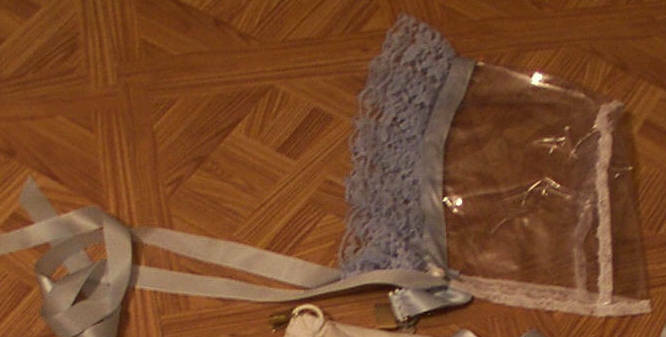 If you would like the lace and ribbon in another colour just let me know. 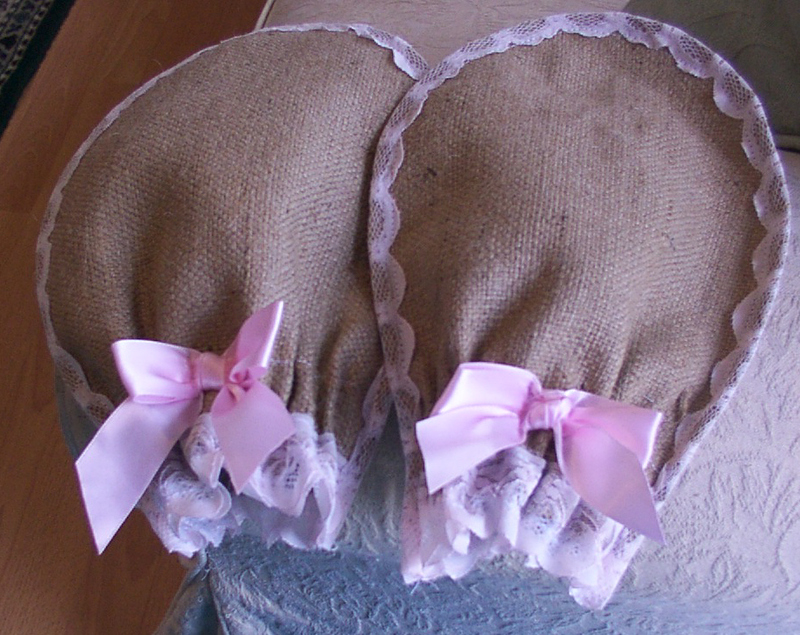 The hessian knickers, bonnet and mitts are extremely uncomfortable and itchy.